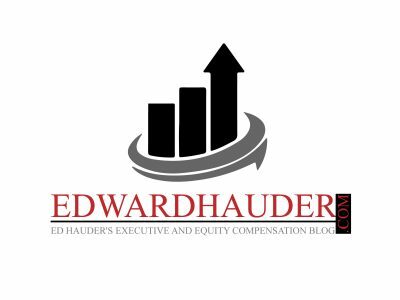 Earlier this month, the SEC issued a press release announcing that it was soliciting comments on earnings releases and quarterly reports. Specifically, the SEC is seeking comments on how the existing periodic reporting system, alone or in combination with other factors, may foster an overly short-term focus by managers and other market participants. The nature and timing of disclosures that reporting companies must provide in their quarterly Form 10-Q reports, including when the Form 10-Q disclosure requirements overlap with the disclosures companies voluntarily provide to the public in earnings releases furnished on Form 8-K.
How the SEC can promote efficiency in periodic reporting by reducing unnecessary duplication in the information that reporting companies disclose and how any such changes could affect capital formation, while enhancing, or at a minimum maintaining, appropriate investor protection. Whether SEC rules should allow reporting companies, or certain classes of reporting companies, flexibility as to the frequency of their periodic reporting. How the existing periodic reporting system, earnings releases, and earnings guidance (either standing alone or in combination with other factors) may affect corporate decision making and strategic thinking, including whether these factors foster an inefficient outlook among reporting companies and market participants by focusing on short-term results. The SEC will accept comments through March 21, 2019. The SEC Press Release can be found at, https://www.sec.gov/news/press-release/2018-287, and the version of the request published in the Federal Register can be found at, https://www.sec.gov/rules/other/2018/33-10588.pdf. On December 18, 2018, the SEC announced that it had finalized the hedging rules required by the Dodd-Frank Act (see https://www.sec.gov/news/press-release/2018-291). The SEC then made the Final Rule release (Release No. 33-10593; File No. S7-01-15) available on its website at: https://www.sec.gov/rules/final/2018/33-10593.pdf). New Item 407(i) of Regulation S-K requires a company to describe any practices or policies it has adopted regarding the ability of its employees (including officers) or directors to purchase securities or other financial instruments, or otherwise engage in transactions, that hedge or offset, or are designed to hedge or offset, any decrease in the market value of equity securities granted as compensation, or held directly or indirectly by the employee or director. Companies can satisfy this requirement by providing a summary of the practices or policies that apply, including the categories of persons they affect and any categories of hedging transactions that are specifically permitted or specifically disallowed, or by disclosing the practices or policies in full. If the company does not have any such practices or policies, the company must disclose that fact or state that hedging transactions are generally permitted. Equity securities for which this disclosure requirement applies are equity securities of the company, any parent, or any subsidiary of the company or any parent. But note that the rules will not apply to closed-end funds and foreign private issuers. The Equity Compensation FAQs also include the ISS Burn Rate Benchmarks for 2019 in the Appendix. Are Environmental Goals the Next Big Thing? A number of recent stories covered the move by Royal Dutch Shell to incorporate carbon emissions into the performance goals for its executives incentives. For example, see this story by CNN, Shell is tying executive pay to carbon emissions. Here’s why it could create real impact. Some may believe this is an appropriate action by one of the big oil companies. Other may dispute whether any such action is needed at all. But, assuming that society as a whole has focused on environmental issues to the extent that boardrooms have begun to take notice, Royal Dutch Shell may be the first in a new wave of companies adopting environmentally-focused performance goals for their executives’ incentives. The number of companies this could impact is staggering–everything from the typical companies thought of when considering environmental impact (oil companies, manufacturers, and utilities) to the less thought of, but sometimes having even more of an impact on some aspects of the environment. For example, just recall the recent focus on the types of straws folks use after it was disclosed that plastic straws lead to an overall increase in plastic pollution that endangers wildlife and the environment. Many companies immediately sought out more environmentally-friendly alternatives and suddenly paper straws are all the rage (and the one company in the U.S. that manufactures them is having a hard time keeping up with demand). We have seen this focus on bags in the retail environment too as plastic bags have given way to reusable shopping bags or the return of paper bags for shopping needs. My point is that these matters likely will continue to surface and with a frequency unseen in history as social media makes it easier for consumers and individual citizens to gain focus on things that the wider community may want to consider. So, will fast food chains be integrating carbon emissions into their incentives? Probably not that soon. But, for large restaurant chains that have large, wide-spread distribution networks I could see them focus incentives on finding the most cost effective solution that balances environmental impact. Perhaps that means that their delivery fleets get powered by alternative fuel sources. There could be more action in this area as social awareness of environmental issues grows. It may seem far-fetched today that business leaders would be rewarded based on both how a company performs financially, as well as how the company manages its environmental (and social) impacts. However, I think in the not too distant future this will be part of incentive designs, especially at companies that take a more holistic approacg to their businesses and how they define success. So when more companies start adopting Environmental (and Social) goals into their incentive plans, they will need to take care that they do not create any perverse incentives that could cause problems later. Adopting such goals should be done carefully and discussed and reviewed from all sides. The goals should be tested–preferably by a number of folks who enjoy finding the loopholes in things to best identify where the goals may present weaknesses. Those should be shorn up through the use of countervailing goals and/or careful monitoring. If done properly, these such environmental (and social) goals could help propel companies to greater financial returns, especially if the goals lead to behaviors that are recognized by society as appropriate.